CONVENIENT LOCATION! 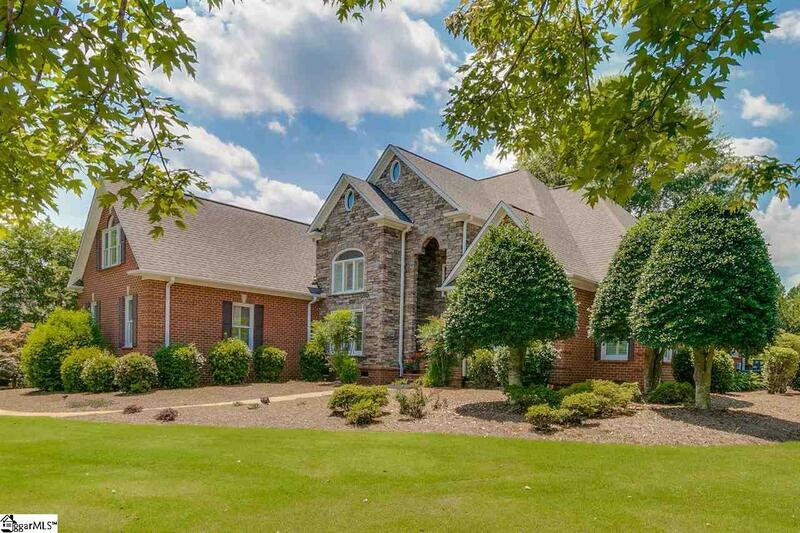 BEAUTIFUL GOLF/POOL COMMUNITY! LOVELY GOLF-COURSE LOT! GORGEOUS CUSTOM HOME! TOP-SCORING SCHOOLS! GREAT PRICE for ALL! 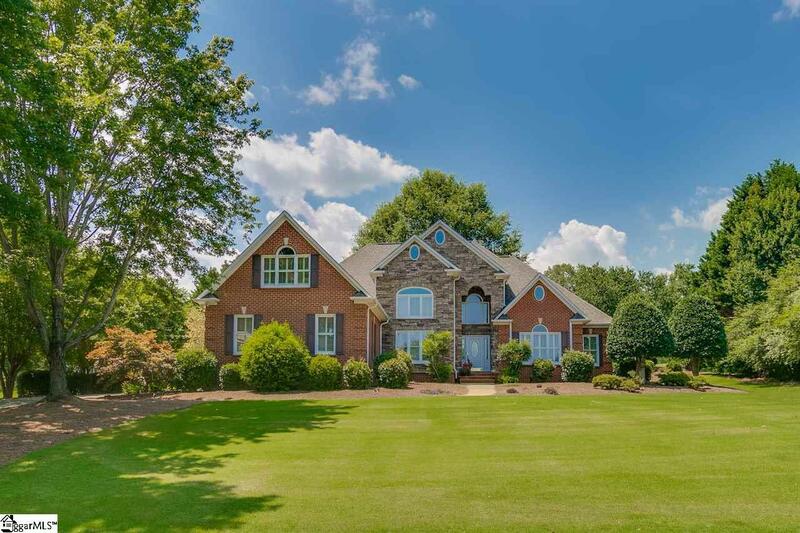 This FABULOUS LOCATION is within 10 minutes+- of Greenvilles Woodruff Road shopping and dining, I-85, the BMW Plant and the GREENVILLE/SPARTANBURG International Airport. This location is also convenient for working in GREENVILLE or SPARTANBURG areas! The beautiful COMMUNITY is one of custom homes built by local builders and large lots, with "room to breathe. This terrific golf course layout with bentgrass greens is playable for men, women and children, is semi-private and is separate from the HOA fees. The whole family will also enjoy the Clubhouse, Pool, Tennis courts and Playground. This LOT backs to the 4th fairway offering beautiful views afar while having a beautifully landscaped .71 yard with a Koi pond and water feature! You are sure to enjoy all this from your multi-level deck out back! This fabulous HOME was featured in the 1996 Parade of Homes and was meticulously designed with all the "bells & whistles imaginable! The floor plan is just the BESThaving 3 bedrooms, Family Room, Sunroom, Dining Room and Bathrooms on Main Level, while having a Bonus Room, Bedroom, Full Bathroom and Office/Exercise Room on 2nd floor making it an ideal guest or in-law suite, potentially. FABULOUS FLOOR PLAN!!! 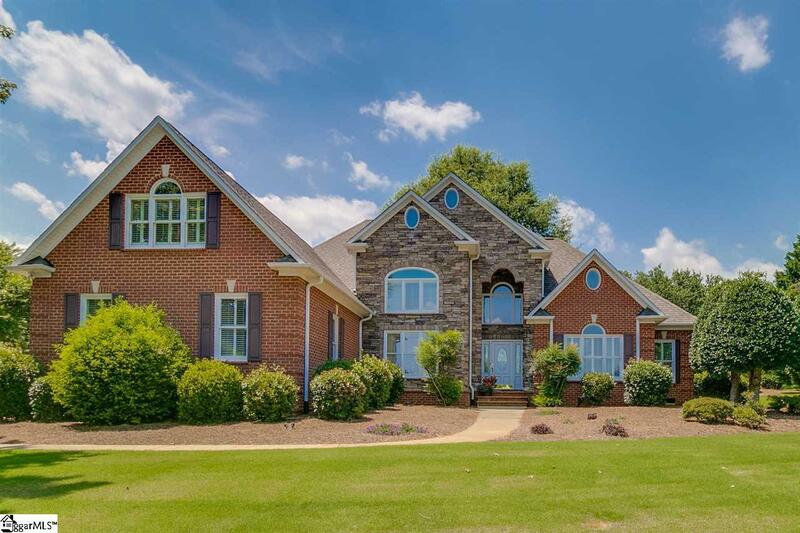 Quality exudes throughout this well-designed home with special architectural features from the abundant hardwood flooring to the soaring 16 ceilings, the arched doorways, windows, built-in cabinetry/bookshelving/desks and more! The Master Bedroom is designed for relaxation all day, with a seating/TV area with gas-log fireplace, built-in bookcase/cabinetry and a large lovely bathroom with white/light timeless marbled flooring, shower, etc. The Kitchen/Breakfast Room is also light and white with quality features throughout. Too many special features to mention here, but a few other are: 3 Plantation shutters throughout, REAL hardwood flooring with cherry-inlay in Dining Room, Rainbird Irrigation System & more. Updates/upgrades include, but not limited to: Gas furnace with Central ACs (2) new in 2015, gas hot water heaters (2) in 2013, roof replaced in 2011 (30-year architectural shingles), new dishwasher in 2008, replaced stucco front with beautiful stone ($30K upgrade) & more. 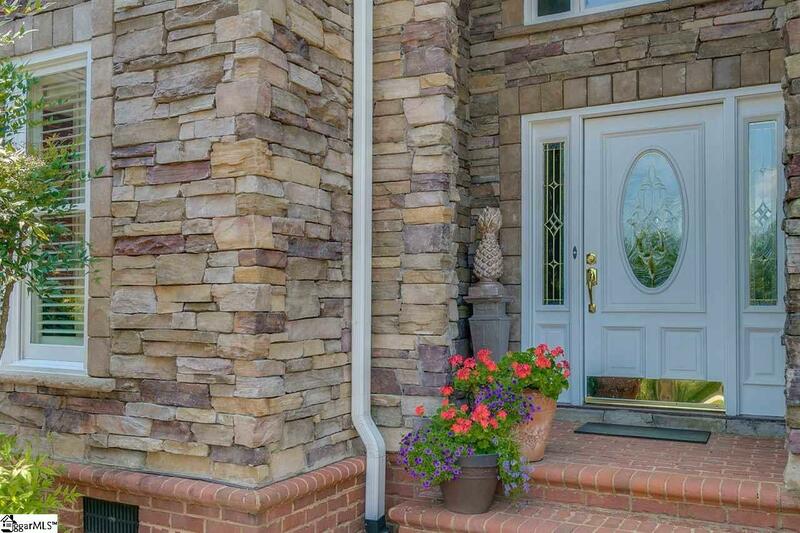 Beautiful quality fixtures and exquisitely decorated throughout; however, seller is offering $10,000 redecorating allowance to buyer at closing with acceptable offer (must be stipulated in contract). WHAT A GORGEOUS HOME in LOVELY QUIET COMMUNITY in a CONVENIENT LOCATION for this GREAT PRICE!!! If SF is important to buyer, buyer must verify.